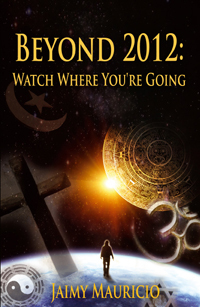 Beyond 2012: Watch Where You’re Going may be the book that changes your life! In December 2012, the world learns the horrifying unimaginable: a reactor from a large hadron collider in Geneva, Switzerland has malfunctioned. Despite their frantic efforts, scientists are unable to control the damage and as a result, a black hole forms and it will begin to consume the earth; the world will be destroyed. Carter Dylan, his wife, Madison, his parents, and his three lifelong friends from Brighton, Mass. – George, Dennis and Yusef – see the news on TV–almost two weeks after the accident. Carter, Madison, Dennis, and Yusef decide to return home to spend the last days of their lives with their loved ones in Brighton, where George and their families still live. For two days they live it up in a quiet way, spending time with each other and hanging out at Murph’s, the pub where they had spent many hours together in their younger years. They reminisce about the many years of friendship that they’ve enjoyed and discuss their varying views on what might be waiting for them after the world ends. And then the inevitable happens. The earth begins vibrating and trembling. After 4.5 billion years, could this really be the end of our planet’s existence or is it a shift into a new age? Carter and his friends are about to discover what lies ahead. There are several doomsday theories linked to 2012 that many say come from prophecies of ancient civilizations such as the Mayans and Hopi. Yet other theorists believe that perhaps powerful secret societies or aliens may be planning a new world order. Others have a more positive perspective and believe that humans may soon be entering a period of evolution that will impact our minds, increase our understanding of consciousness and propel us into a golden age. 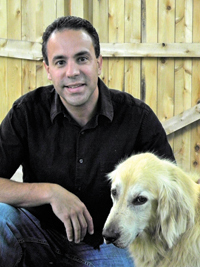 Why might the year 2012 be significant? Or is it just another year? Beyond 2012: Watch Where You’re Going is a fictional story, full of suspense and contemplation, that provides a glimpse into a possible situation that we might encounter someday as well as something that we must all face eventually – the end of our lives. Humans know so little about the universe, consciousness, spirituality and reality. It may only be when we deeply examine ourselves that we find the answers we are looking for in life. Do we know where we are going and why we are heading in the direction that we are? This may be one of the most important questions we could ask, yet few seldom stop to do so.